SADC Johannesburg Africa Data Centres, part of the leading pan-African telecoms group Liquid Telecom, has today launched newly-expanded data centres facilities in Johannesburg and Cape Town, South Africa. The state-of-the-art, carrier-neutral SADC Johannesburg and SADC Cape Town will provide leading cloud service providers, carriers and enterprises with additional rack space and colocation services to meet the rising demand for cloud-based services in Southern Africa. The newly expanded SADC facilities were officially opened by the South African Minister for Telecommunications and Postal Services, Dr Siyabonga Cyprian Cwele, at an exclusive launch event at SADC Johannesburg. 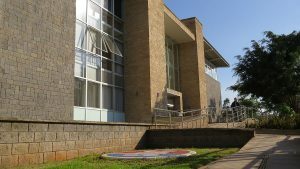 Africa Data Centres is also currently expanding its award-winning East Africa Data Centre in Nairobi, Kenya, which houses 2,000 square metres of secured space for data servers over four floors. EADC is currently the only data centre in East Africa to hold a Tier III certification from the prestigious Uptime Institute. SADC Johannesburg and SADC Cape Town are ISO 27001 certified, complying with high international information security management standards. The data centre facilities are also both PCI DSS compliant; the global information security standard set by the Payment Card Industry Security Standards Council to help control and minimise points of risk to fraud or compromise of sensitive information.